Inspired by the first modern Olympic Games, in Athens in 1896, the Boston Marathon was born the following year. 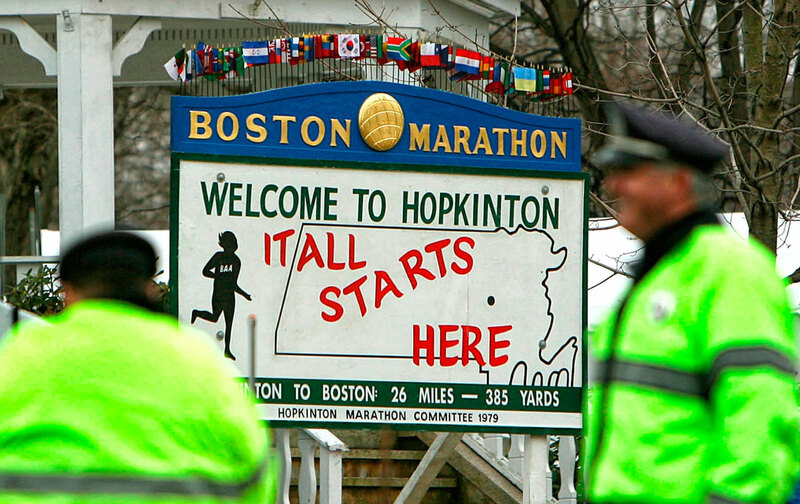 Run on Patriots’ Day—the third Monday of April—every year since, it is the world’s oldest annual marathon. Originally, the race began in the town of Ashland, but since 1924 the runners have set out from the town common in Hopkinton.